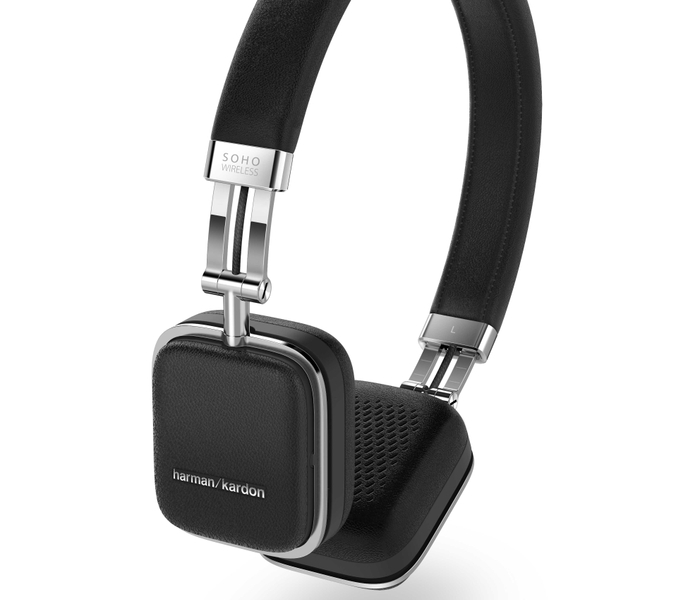 Berlin, Germany – HARMAN International Industries, Incorporated, has announced the new Harman Kardon® Soho Wireless headphones at this year’s IFA in Berlin. 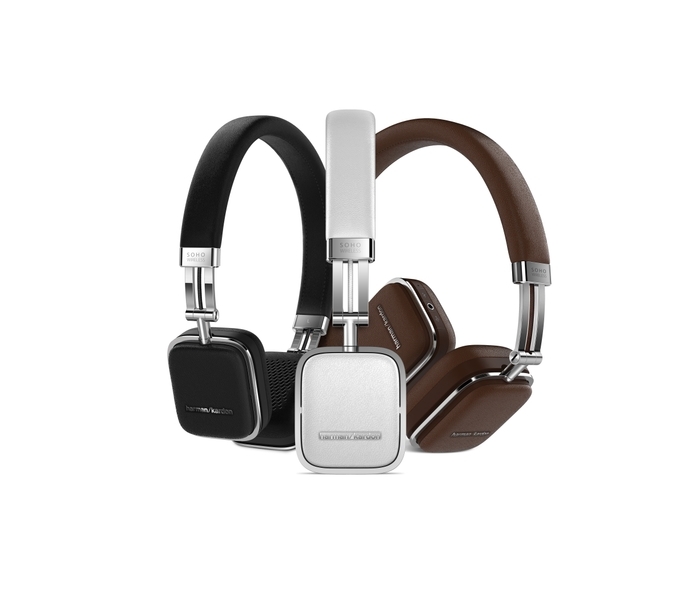 Designed with travel in mind, the Bluetooth® headset embodies sleek, head-turning visual and touch appeal, with premium-stitched leather and a stainless steel body and sliders. Ear-cup-mounted touch-sensitive controls are at your fingertips, providing instant access to remote functions — the ultimate in simplified control and total convenience. Truly wireless, these headphones combine the connective ease of Bluetooth® technology and NFC for maximum pairing from a wide spectrum of smart devices. Thanks to specially selected 30 mm drivers and high performance neodymium transducers, Soho Wireless headphones deliver crisp highs and a thunderous enhanced bass response. 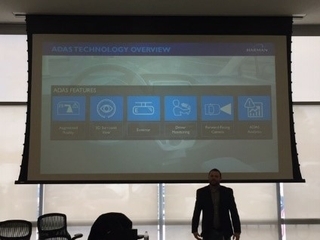 Additionally, with aptX and AAC coding, the Bluetooth streaming never suffers from data compression. The headphones boast a fold-flat design for ease of travel, and the structured carrying case keeps everything organized and together — the perfect sound complement to any road trip. Whether you wear them for work or play, these on-ear headphones offer maximum wireless connectivity to an ever-widening array of smart devices, like smartphones, tablets and laptops. 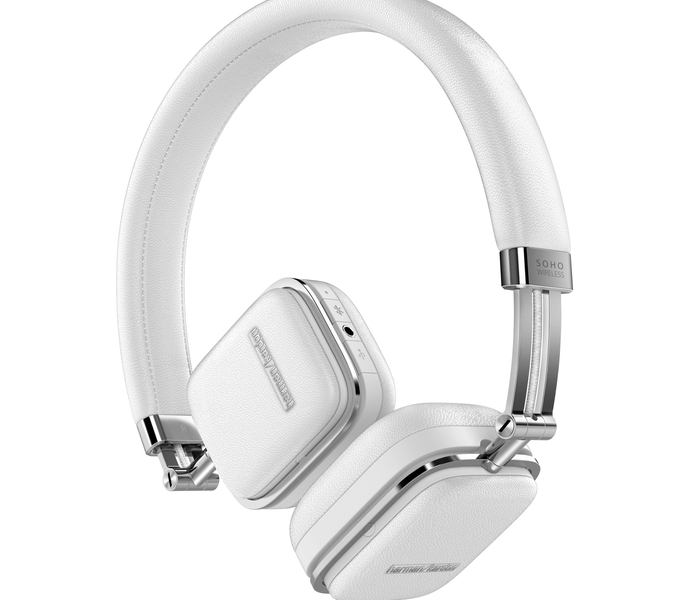 For additional information on Harman Kardon Soho Wireless Headphones $249.95 or to purchase, visit www.HarmanKardon.com.